Don’t you just love the great outdoors? 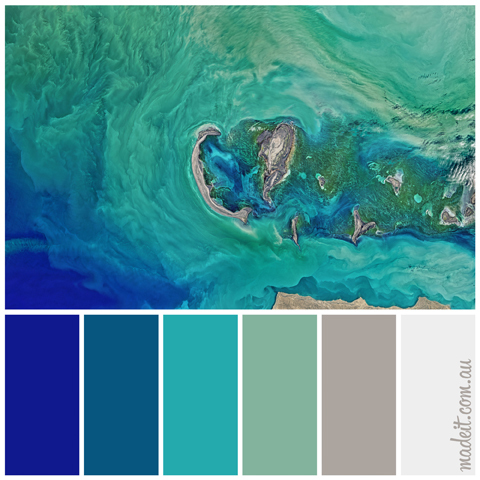 Just as good as the fresh air and sunshine, are the beautiful colour schemes that Mother Nature throws together, from earthy hues to deep ocean blues! Ooh… did you see that? It’s poetry to the eyes AND the ears! 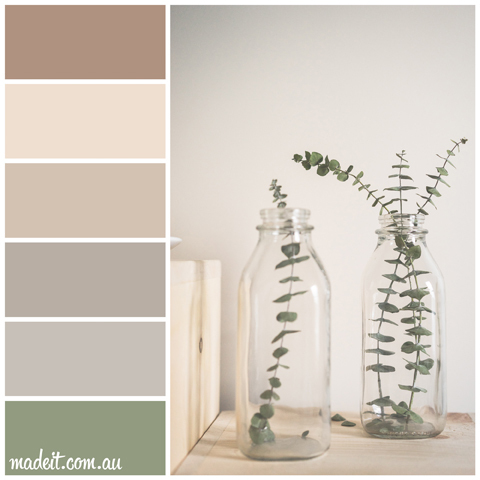 Here’s a few colour schemes inspired by nature’s great design. Imagine finding your way to this island quay and diving into one of those crystal lagoons… bliss! This peaceful palette of pale beech wood and freshly cut foliage would be perfect for a serene bathroom. 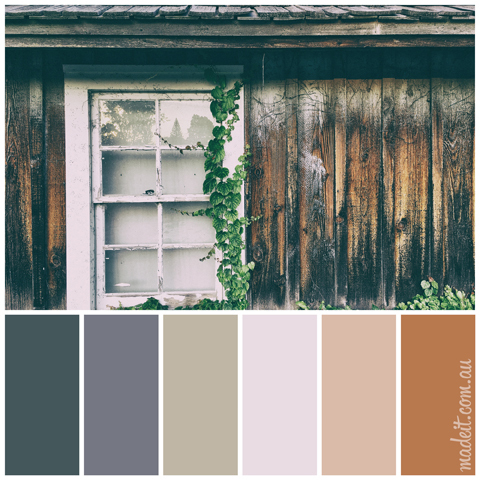 These darker shades of worn timbers and deep green accents have a distinctly rustic appeal. Wordsmith, art & craft enthusiast, and grand-visionary.